These are scripts for a kids yoga teacher – with poses marked in bold. 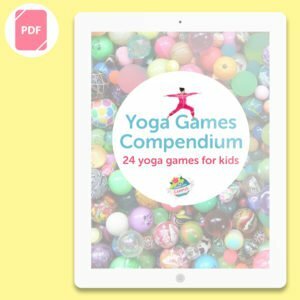 If you don't know the poses or how to instruct them, the scripts are best used in conjunction with our free online pose videos or the Big Book of Kids Yoga Postures, our guide to over 200 kids yoga poses and how to instruct them. 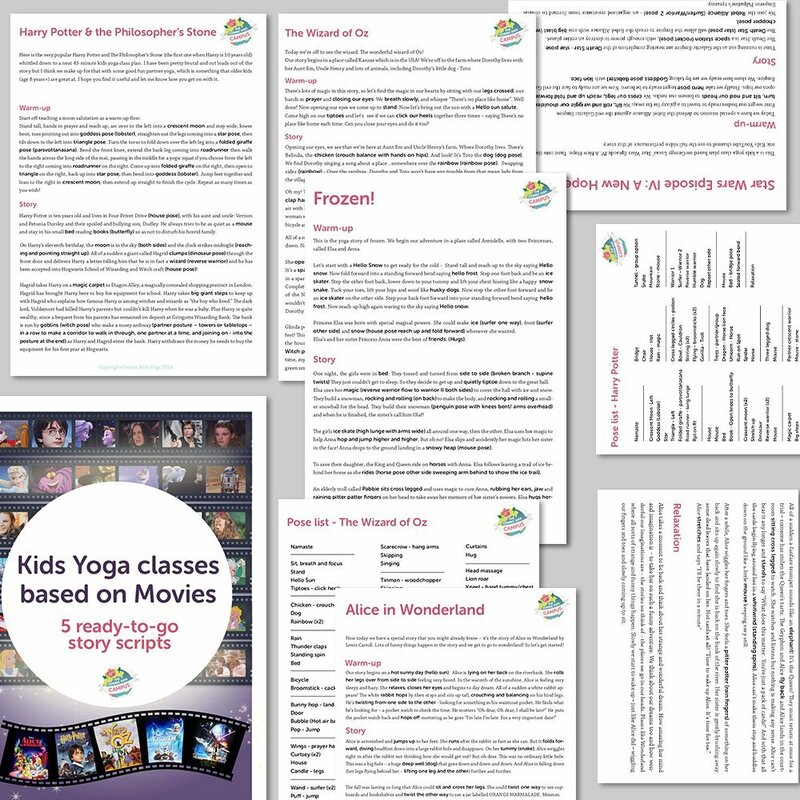 Five kids yoga scripts adapted from hugely popular movies. Written and road-tested by Jaime. 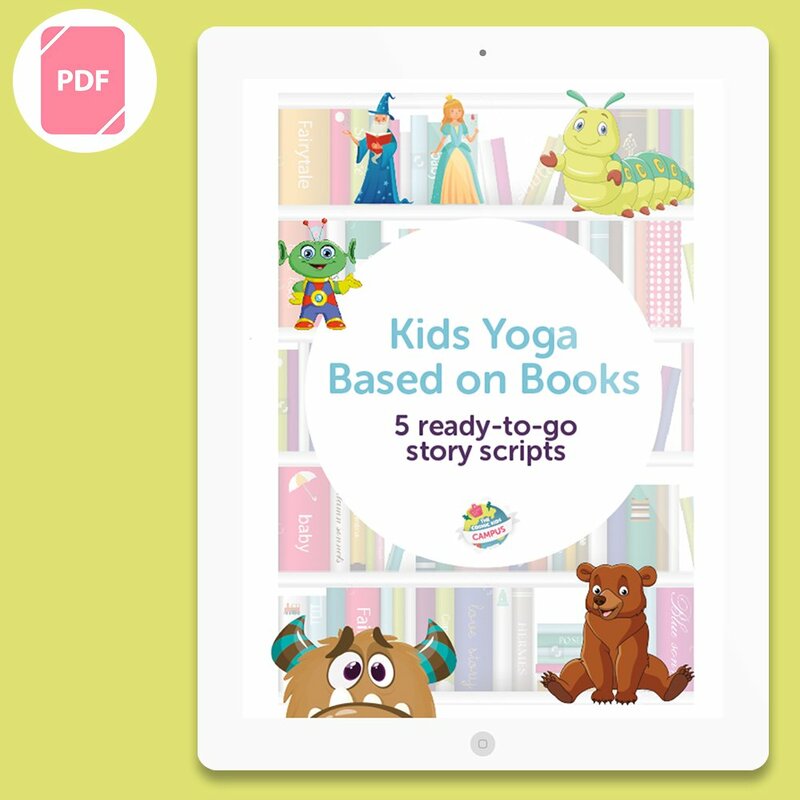 These are scripts for a kids yoga teacher – with poses marked in bold. 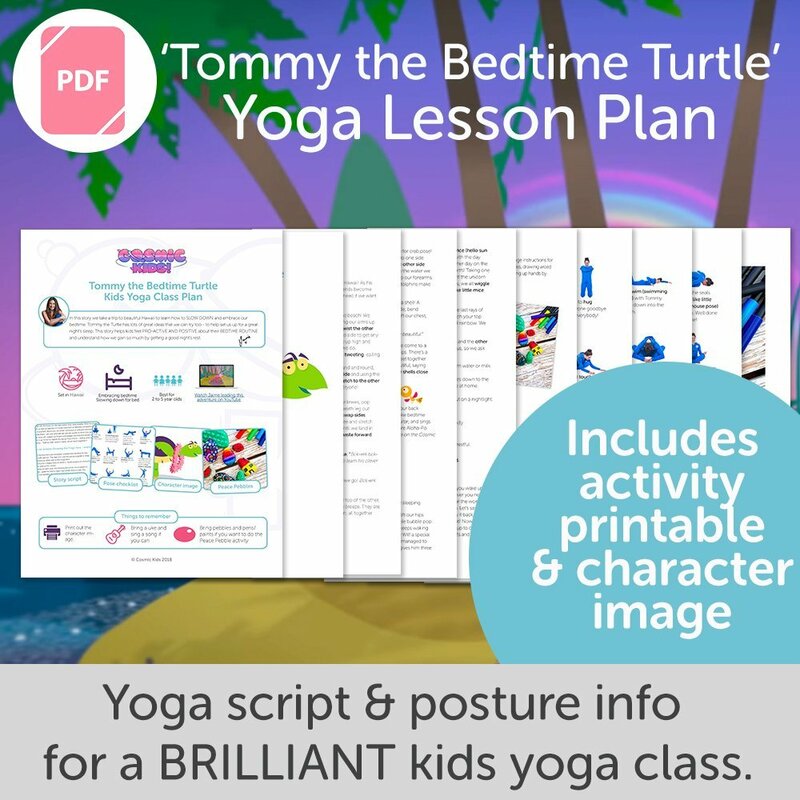 If you don’t know the poses or how to instruct them, the scripts are best used in conjunction with our free online pose videos or the Big Book of Kids Yoga Postures, our guide to over 200 kids yoga poses and how to instruct them. To see an example class plan from this bundle and various others, download our FREE sample class plan pack. With dramatic plot lines and developed characters, these plans work really well for older kids aged from 7 to 12 years old. Many kids know these movies well, and enjoy reliving them through the yoga. 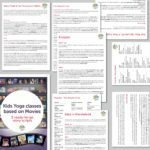 Each plan is written as a yoga story script, giving you the narrative of the story with the yoga poses indicated by the words in a different font to the rest of the script. I recommend you use the Cosmic Kids Big Yoga Posture Book as a guide to all the poses, so you feel confident on what they are, what they do and how to instruct them. As they are feature-length movies, the stories have been edited down to the main events and elements so they fit the timings of a yoga class. This also makes it easier for you as the teacher to learn them. Some of the kids may enjoy filling in the details as you work through the sequence too! They are designed to be used by kids yoga teachers who have experience teaching yoga to children. If you are keen to learn, we have a free crash course as well as a full certification training. Both of these are online and you can find out more at www.cosmickids.com/learn. All of these plans have been written and road-tested by me (Jaime) in my own classes and the kids have loved them! That said if you feel you want to adapt any of them to suit you and your students, please go for it!